Free reminder: If you celebrate All Saints Day on November 1 in the USA, it will be Time Change Sunday. So remember to turn your clock back and enjoy that wonderful extra hour of sleep. BTW – The year B All Saints texts focus more on the promises to the Saints than on the saints themselves. The texts for Years A and C focus more on the saints themselves. Still, if you have been reading Hebrews, building worship around the cloud of witnesses in Hebrews 12:1-3 seems a great choice even for Year B. The lectionary only lists “the cloud” for the Wednesday of Holy Week – when many will miss it. 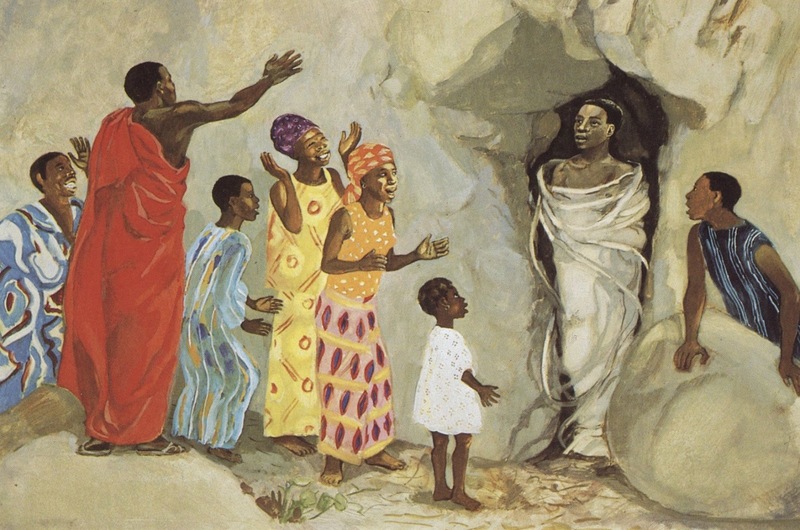 With Year B’s gospel reading about the raising of Lazarus and God’s promise that “death will be no more,” it’s a good day to include all things Easter. Sing Easter hymns emphasizing the Alleluias in the choruses. Even challenge children to keep count of the Alleluias in the entire service and check in with them as they leave the sanctuary. An addition: “For All the Saint’s Who’ve Shown Your Love” by John Bell uses simpler language than some All Saints hymns but is not as “cute” as “I Sing a Song of the Saints of God.” For words and music go to G.I.A. Music. Children live very much in the present. It is even hard for them to believe it is worth living with braces for several years in order to have straight teeth when they are older. So it is hard for them to appreciate this writer's insistence that though it looks like God’s people who were killed for their faith were losers now, in the future they will shine and rule the world with God. Isaiah's prophecy makes much more sense to them. V If you do not have “cloud” banners or table cloths in the sanctuary, with the children identify pictures of people from all around the world and well known saints (local, national and global) who have died. Spread the pictures around the elements on the Table and leave them there during the sacrament. V Different churches say it differently but most have a phrase in the great Prayer of Thanksgiving that calls people to the Table in ways that connects that Table to the feast of Isaiah. Presbyterians say “joining with all the saints of all times and places.” Methodists say, “Make us one with Christ, one with each other, and one in ministry to all the world until Christ comes in final victory and we feast at his heavenly banquet.” Your congregation may say something else. Whatever it is, highlight it just before the sacrament. Practice the congregation’s sung completion of this prayer. Then, name some of the saints and imagine both living and dead saints from all over the world gathered around the Table with you. From here go straight into the Invitation to the Table. V Communion on Isaiah’s terms is an upbeat rather than somber ritual. Choose communion hymns accordingly. Sing mainly verses 1, 2, and 4 of “I Come With Joy.” Even though older children can follow the words of this hymn you might want to put them into your own words to catch their attention before singing them together. 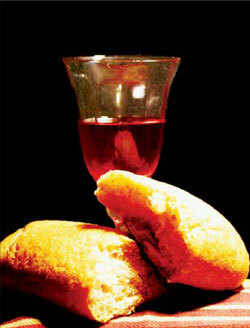 Another choice is “For the Bread Which You Have Broken.” point out all the feast images in verses 2 and 3. V Psalm 24 is meant to be experienced than explained. Use the script in Proper 10 (Year B) for a reading involving a choir at the front, a choir at the back, and a trumpet or organ fanfare. The choir at the back could be a children's choir or class. V Display Halloween decorations including haunted houses, skeletons, open coffins, and tombstones. Point out all the scary, evil, awful things seen in these things. Then read Revelation 21:1-6a stopping as you go to remove the scary things as they are mentioned, i.e. “the city dressed like a bride” is better than a haunted house, “no death” makes the coffin and tombstone unnecessary, etc. You may want to replace each Halloween item with a Revelation item such as small posters with the red slash over the word death or a smiling face for no more tears. The point is that God’s power and love have the last word over all the scary, unhappy things in the world. It’s a good way to wrap up the Halloween season and direct attention toward the coming of Advent in one month. 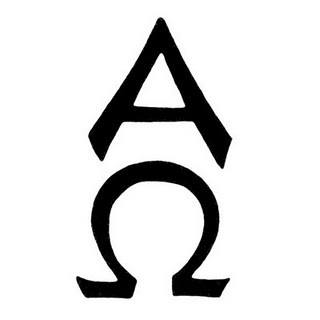 V Recent lectionary texts have included many “alpha and omega” references. If you have those letters stitched, carved, or painted into your sanctuary and have not pointed them out in the last month, do so today. Identify the first and last letter of several alphabets and explain what the symbol says about Jesus and God being at the beginning and the end of the whole universe. V On the Sunday after Halloween children are first amused by all the details about dead, stinky, bound-up Lazarus and then comforted by the proof that not even death can separate the saints from God’s care. V Use the “Jesus Raises Lazarus to Life” painting to explain a few things about burial in that day before reading the passage. Point out the cave and the wrapped up Lazarus. Then invite the congregation to listen to a story about a man who died, was wrapped in clothes and buried in a cave. Urge them to get ready for a surprising ending to the story. V Winston Churchill planned his funeral in great detail before his death. At the end of the service he wanted a bugler to play taps in the back of one of the transepts of the cathedral. After a brief pause, he wanted another bugler to play reveille at the back of the opposite transept. If your children are scouts or have other ways to have encountered taps and reveille, they will grasp what Churchill was saying about his death. 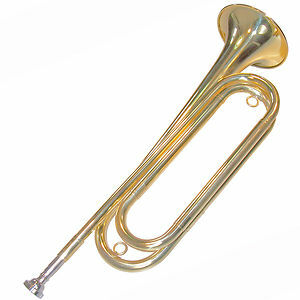 If you have a bugler or trumpeter, that person might follow Churchill’s directions at the end of your service or might play taps at the beginning of the service and reveille after the benediction. If you do the latter, consider calling the children forward immediately after taps and before the call to worship to identify the melody, it’s meaning, and why you are playing it today at the beginning of the service. Urge them to listen for reveille and imagine what it means. Encouraging your children through their faith is important, and these are great suggestions for All Saint's Day! I wrote a children's book that I hope inspires their imagination and teaches them about faith at the same time! You mention making a "Great Cloud of Witnesses" banner. Could you say more about that? Do you have any suggestions? Thanks!